We have some great fall wedding theme ideas that Cassandra Key, of Bridal Magic, has shared with us, for those that might need some last minute fall wedding inspirations! Cassandra has shared with us before, some savvy inspirations for Out of Town Gift Bags, and is back for these lovely fall wedding decor touches! Fall means change is in the air. It’s all about transition, colors changing, golden afternoons, cooler weather. If you’re planning a wedding or other special event during this “second spring,” keep it fresh, exciting, and engaging. Here are some hot fall trends to help you do just that. Look to mother nature for cues on how to plan your wedding or special event during autumn. Think organic, natural, less structured, and bold. Weave these themes into everything from the food and flowers to the decor and activities. Forget the catered plates of yesteryear. The season’s hottest food trend is spelled f-r-e-s-h. Serve guests locally-sourced meat and seafood, farmer’s market fare (especially great for seasonal produce), homemade desserts, authentic ethnic cuisine, or forget it all and just go simple with a few top-notch appetizers or tapas. For a quirky twist, bring in a late night food truck to serve guests snacks in between dance moves or set up a creative food station that allows guests to build their own meal (taco/burrito bars, baked potatoes, pizza, salad). As far as beverages go, local is where it’s at. Craft and artisan beers will be a hit, as well as interactive drink stations that offer things like gourmet coffee and mixed drinks. For extra help, hire a barista or mixologist to guide guests in making their drinks. For fall, the simpler, the better. 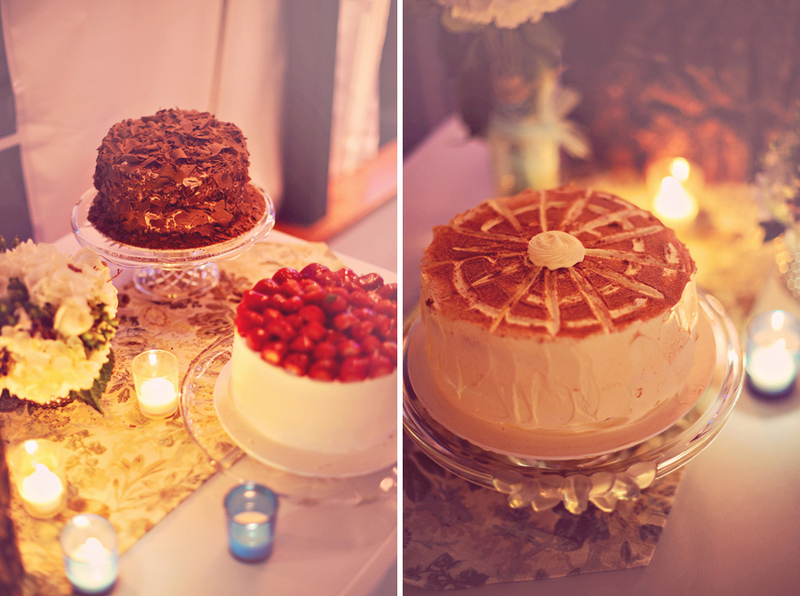 Let them eat small-tiered cakes or naked cakes with color drips or edible blooms. Skip the cake all together and offer a variety of small desserts or fresh-from-the-oven pies. Everyone knows the highlight of fall is the changing colors. Get inspired by autumn’s rich palette and spruce up your venue space with warm, deep tones, gold, burgundy, rose, and moss green. You can also combine dark hues with weathered pastels or add shine and depth with metallics. Technology is becoming a strong player at weddings, as couples want to totally engage their guests and give them an experience of a lifetime. Enter social walls, live sharing, wedding hashtags, and crowd streaming through Periscope and Facebook Live. Couples are also offering fun photo booths with props that reflect their wedding theme and style. Adorn your fall wedding or special event with local, seasonal flowers. Dahlias, roses, chrysanthemum, asters, baby’s breath, and blazing stars are all top autumn blooms. For a theme, think freshly picked, wild and free. Decorate the tables with greenery or succulent gardens and add pops of color with berries and fruit. Stephanie Case, Event Specialist and owner of Lush Event Productions in Las Vegas says couples are replacing heavy florals with colorful leaves and branches and incorporating these natural autumn pieces into their arrangements. Charming, warm, and inviting are in the stars for fall event decor. Lights of all kinds are a classic way to brighten up the space, but still keep it cozy. Everything from candles, string lights, uplighting, monograms, and projections are available. You can create even more light with mirrored tables. Tres elegant. Another hot fall venue trend is creating comfortable and inviting lounge areas complete with cushy couches and tables. Lounge areas get guests engaged with each other and provide respite from blaring speakers. If you’re going for a theme, vintage is worth considering. Nostalgia can charm even the most modern guest, so building your event around a specific time period and filling it with items from that era will really wow guests. Case says the rustic theme is also popular, especially during the fall months. Barn venues are perfect for this theme and a host can create a simple, but elegant look using farm tables decorated with flowers in vintage jugs, candles, hanging lanterns, pumpkins, and handmade details. If you’re throwing a whimsical wedding or an eclectic party, put surprising matches into your decor toolbox. Think sleek minimalism with a funky edge, romantic farmhouse with lavender uplighting, or botanical zest. This fall it’s all about natural inspiration, creativity, and letting the leaves of your imagination grow wild with lush colors. Have fun! Cassandra Key is a freelance wedding blogger and founder of Bridal Magic - the online bridal space for practical tips and magical wedding inspiration. She's written about everything from real weddings and bachelorette parties to bridal showers and wedding fashion. When she's not blogging, you can find her beach bumming, reading Francesca Lia Block novels, dancing up a sweat, and trying to incorporate a daily meditation practice.